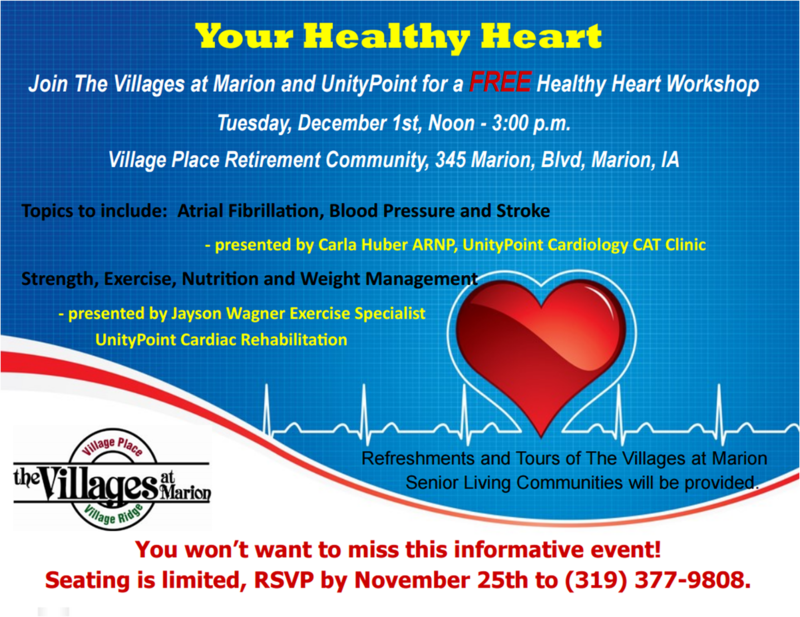 The Villages at Marion is excited to team up with UnityPoint Cardiology team to host Your Healthy Heart workshop. This workshop is free to the community and will take place on Tuesday, December 1st, noon- 3:00 p.m. at Village Place. Refreshments and private tours of The Villages at Marion Senior Living Communities will also be provided. Space is limited. Call today to reserve your spot, 319-377-9808!